Tennis star Maria Sharapova tested positive for the banned PED meldonium. It’s been a disappointing few weeks in professional sports due to a couple of athletes’ abuse of performance-enhancing drugs (PED). 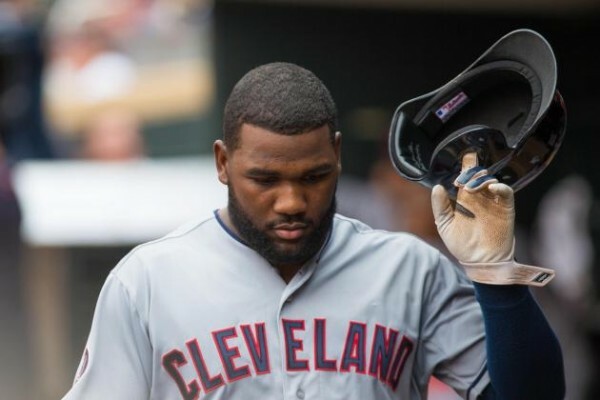 Abraham Almonte, who was scheduled to be the Tribe’s opening day center fielder, was recently suspended for 80 games for using the banned substance Boldenone. 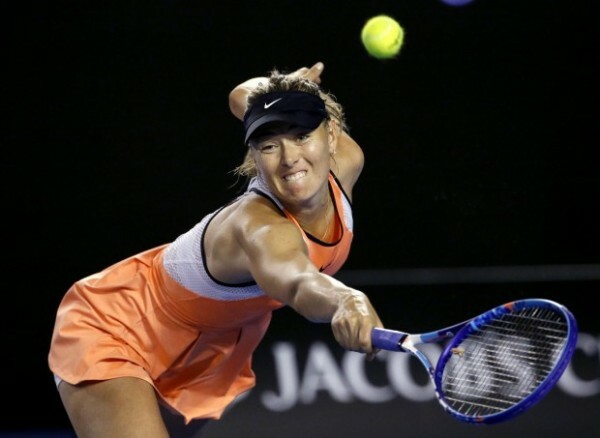 A few weeks later Maria Sharapova, the highest-paid female athlete, was faced with potential suspension from international competition because the Russian tennis star tested positive for the banned PED meldonium. There are 3 types of PEDs: muscle-building steroids, stimulants and now a newer category, just like the one Sharapova was taking, that increases blood flow. As of Jan. 1, 2016, the World Anti-Doping Agency banned meldonium due to the unfair advantage it offered athletes in competitive play. This week, I spoke with 1590 WAKR morning show producer Tony Mazur about this topic. It’s unfortunate for all fans, but especially Cleveland fans because losing Almonte has left a huge hole in the Tribe’s center field. 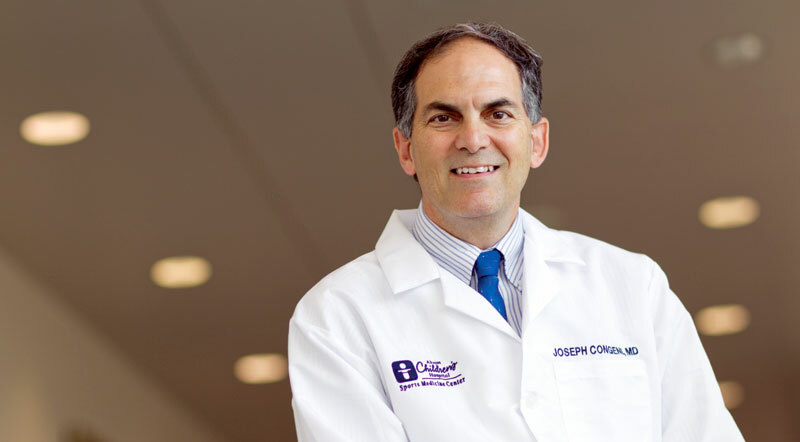 MAZUR: Joining us on the hotline is Dr. Joe Congeni. Dr. Joe, how are ya this morning? DR. CONGENI: Great, Tony. How you doin’? MAZUR: Uh, you know, I’m hanging in there. It’s a big seat to fill, big shoes to fill from Ray, but, um, Lord knows I’m trying. DR. CONGENI: You’re more than filling in there. You’re doing a great job this week. MAZUR: Well, thank you. You wanted to talk about Maria Sharapova and the banned substance and, uh, this story. DR. CONGENI: Yeah, it’s created a lot of confusion and a lot of people have been asking me about this, Tony, and you know, the drug, the PED, performance [enhancing] drug that she’s been using. So, people are not, you know, together all clear. There’s a whole array of different drugs people use to try to improve their performance. So, this would obviously not be like a muscle building, you know, not like a steroid right? You wouldn’t see a tennis player wanting to use a steroid. A couple of other, um, Olympic skaters and distance runners in Russia have also been busted for this drug. So, it’s not a muscle-bulking drug. It’s also not a stimulant. You know, we see a lot of our NFL guys with the Adderall and stuff like that, which is a stimulant to get them to be able to focus more and that kind of stuff. This is a newer type of drug, so it’s a little bit different. It’s only, uh, produced in Latvia of all things, in the Eastern Bloc country. What it does is it increases blood flow, improves blood flow in people with different heart or circulatory conditions. So by doing that it improves their endurance; their physical capacity. By increasing blood flow even to the brain they say it increases even mental function in these athletes. … There’s a lot of money on the line. So, they’ve come across in the last several years this drug actually improves performance and so there was actually a lot of usage. In 2015, they were finding it in a lot of, um, urine tests on athletes and so they decided to ban it as of January 1st of 2016 and the biggest named athlete was Maria Sharapova, who was busted with it. …. You know, she’s a 5-time grand slam champion, highest paid female athlete. There’s a lot of money involved here. You know, she lost her commercial endorsement at Nike and she is getting paid [about] $70 million by Nike. So, there’s a lot of money on the line. And, uh, she mentioned that when she was tested positive that she was being prescribed this drug by her family doctor, uh, over the last couple years for several health issues, including the flu and an irregular EKG and a family medical history of diabetes. But in response to that, the head of, uh, cardiology at the Cleveland Clinic came back and said there’s no way this drug would be clinically indicated in a healthy young athlete. So, there’s a lot of back and forth going on. The big question, Tony, is she going to get a 2-year ban? A 4-year ban? Will she ever play tennis again? This is really a different kind of drug on the scene here, uh, that increases blood flow. MAZUR: Dr. Joe Congeni here from, uh, Akron Children’s Hospital. I’m a guy before I came to the show today I do a work out. It helps me, helps my mind and helps my body. I feel good, but when I wake up, that alarm goes off at 2 o’clock in the morning, I need a boost. So, I take these pre-workouts. For a number of years I took a product called Jacked. … It has since been banned. Now, we’re talking about performance enhancers, where do you draw the line and how is it I can take a pre-workout and they say that certain products are fine to use. Bryce Harper endorses, uh, I believe it’s MusclePharm. DR. CONGENI: Yeah, so this is the deal, Tony. That product that you’re talking about again is in the stimulant category. So I wanted to be clear, there are muscle-bulking agents, there are stimulants and then there are these newer drugs that actually increase blood flow. … But when it comes to competitive sports, there’s a group called WADA, World Anti-Doping Agency, and they keep a very close watch on this. There’s a very big international committee and if they think one of these substances gives an unfair advantage to athletes, they will ban that substance and not allow it for certain competitions. Now, some groups will agree to ban it. NCAA makes their own rules. NFL makes their own rules. Uh, so you know, there may be some substances out there that, uh, regular people can take on their own, but if you’re an athlete that is part of a professional group, like Maria Sharapova with the, uh, International Tennis Federation, if they go along with WADA’s, uh, recommendations to ban a substance, which they clearly did on January 1st of this year for this drug, then it’s illegal for someone like her to be using. But this agency’s whole job is to test these agents and see if it gives an unfair advantage to athletes. MAZUR: and he’s been suspended for 80 games, which is about half the season, for testing positive for Boldenone. Now, what exactly is that and how does an athlete ingest that in his/her body and for some reason not know that it’s in his/her body? DR. CONGENI: Yeah, I mean that is often the complaint. Even in this case with Sharapova, she has a team of people — again, the monies are so large in a person like that — and Almonte had so many people, you know, that he could use as a part of the Indians organization and others to say whether these agents are banned or not. So, very frequently people will come out in the days following and say they didn’t know it was a banned substance. But, there are so many resources available to professional athletes to know what’s banned and what’s not. The category of the one that Almonte was in I believe, Tony, was a stimulant. Is that correct? MAZUR: Yes, I believe so. DR. CONGENI: Yeah, it was a stimulant, which a lot of baseball players particularly are using. You can imagine how focus in a stimulant is so important in that population of athletes versus again the muscle-bulking and muscle-building [drugs]. And so, yeah, [there are] all sorts of different stimulants, and it’s an odd kinda thing because these drugs that are manufactured to do one thing and to really help in the area of being a stimulant for, uh, people that need it are being abused by athletes who see that there could be an unfair advantage to it. The point is there are tons of resources for these professional athletes to know what’s banned and what’s not. And so, it’s kinda like an intelligence test … but some of the testing is random and they just think maybe I’m not gonna get tested this year. But, as it turns out as Cleveland fans, we kinda get burned again because it left a huge hole in center field for the Tribe, didn’t it? MAZUR: Sure enough. Dr. Joe Congeni, thanks so much. We’ll talk to you next week. DR. CONGENI: Yeah, Tony, have a good rest of the week in that seat, okay? MAZUR: Alright. 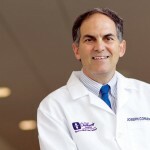 Dr. Joe Congeni, sports medicine, Akron Children’s Hospital.